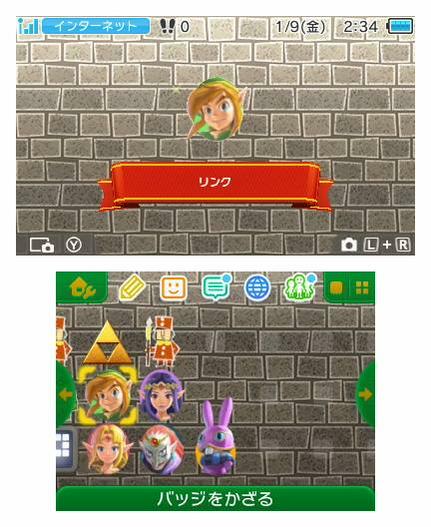 The collectible pins for A Link Between Worlds appear to be Link, Zelda, Hilda, all seven Sages, Captain, the Triforce, a Short Sword Soldier, and a Hyrule Soldier in the wall painting style. As well as non-painting style pins of Link, Zelda, Hilda, Yuga, and Ravio. If a player wins all of these pins in the crane game, an A Link Between Worlds 3DS theme is given to the player for free. 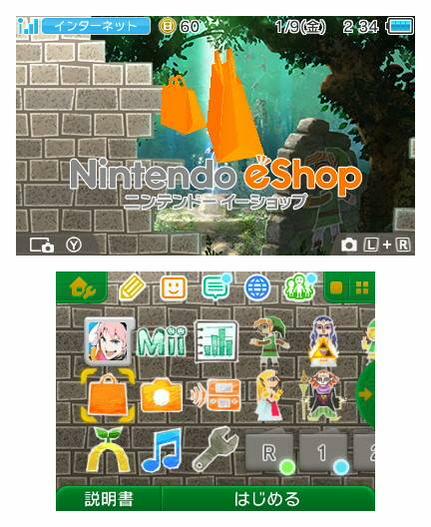 The pins can then be used to customize the home screen and usually look best when paired with their game’s theme. 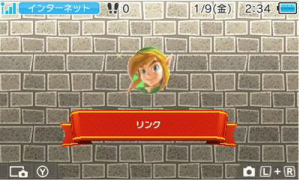 The Collectible Badge Center was launched in December for the Japanese Nintendo 3DS as a free app. The crane game costs ¥90 for five attempts, aside from the initial five which are free. Aside from The Legend of Zelda, Mario and Animal Crossing have collectible pins and themes in the Badge Center. 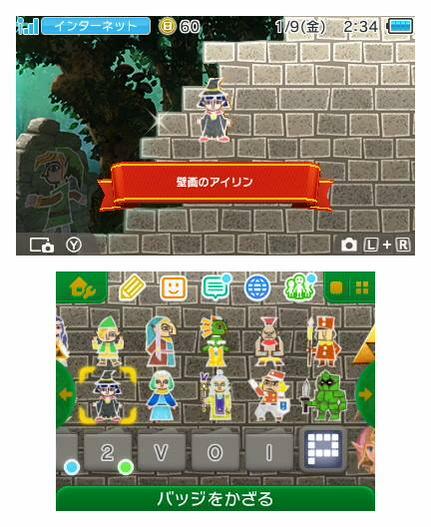 There has been no confirmation as to whether the Collectible Badge Center will be coming to the 3DS outside of Japan. Have you been patiently awaiting the A Link Between Worlds set of pins? Are the pins and the theme worth paying for extra crane game attempts? Are you excited to decorate your home screen with these new badges? Are you gamers outside of Japan hoping that the Collectible Badge Center will be released in other countries? Express your thoughts in the comments!